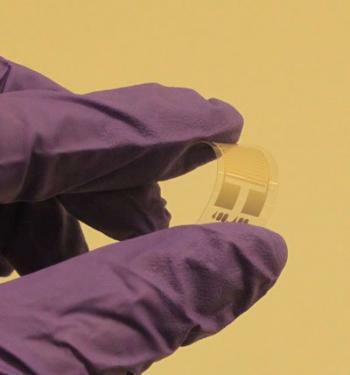 Researchers from Nokia's Research Center in Cambridge developed a new humidity sensor based on graphene oxide. The researchers say that the new sensor is ultra fast (the fastest humidity sensor ever reported, in fact), thanks to the graphene 2D structure and its superpermeability to water molecules. The sensor Nokia developed is thin (15 nm), transparent and flexible. The sensor's response and recovery time (the time to go from 10% to 90% of the high humidity value and vice versa) is less than 100 ms. The response rate is a function of the thickness of the GO, the thicker the film, the slower the sensor. Nokia has filed several patent applications regarding this work.